2 Live Plants. Rich green on the top accented by deep purple on the undersides of the leaves make these plants a wonderful addition to your landscape or container garden! You'll LOVE how EASY these are to grow and how quickly they'll multiply for you; you'll have a nice group in a short time starting with just a couple of plants. 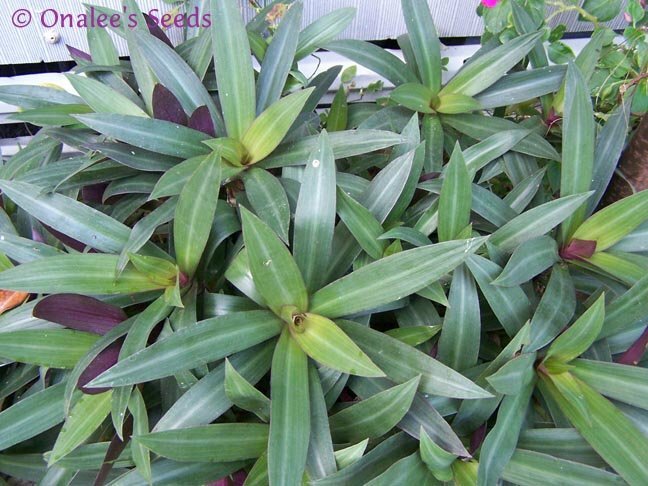 You are buying TWO live, healthy Moses-in-a-Basket (AKA: Moses in a Cradle, Boatlily, Oyster Plant) (Tradescantia spathacea) plants that are 4 - 6 inches tall and growing! Check the drop-down box near the order button for discounts on multiples! These are SUPER EASY to grow and make EXCELLENT house plants in any zone or landscape plants in zones 9-11. 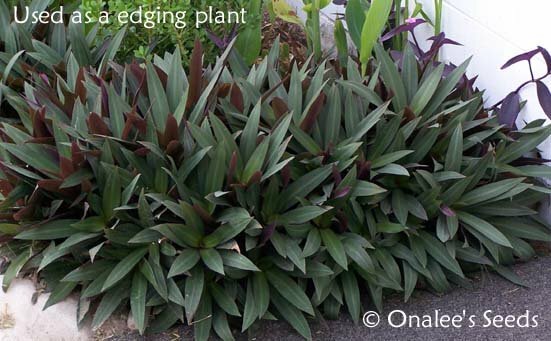 They have rich green leaves which are accented by deep purple on the undersides. They multiply fairly quickly, so starting with 1 or 2 plants you'll have a nice group in just one season. These can grow in part shade to full sun and are happy in about any soil that isn't too wet allow the top of the soil to dry between waterings. 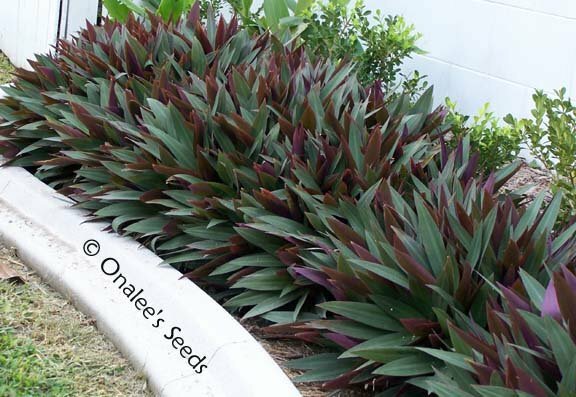 They make nice ground covers or edging plants in tropical zones (but they do multiply quickly, so be sure to plant with care). I love them because they are SO VERY EASY to grow and they add interest and color without having to wait for blooms.